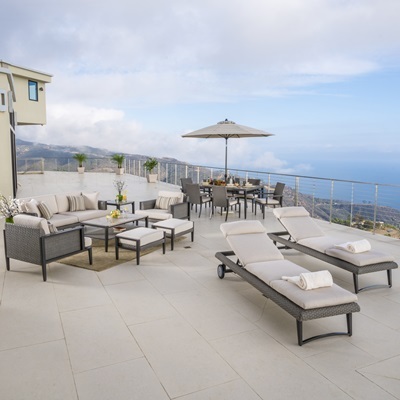 A meal spent outside is a meal well spent, and with the Vistano Collection you can dine under the sky with a durable piece that doesn't shy on comfort. 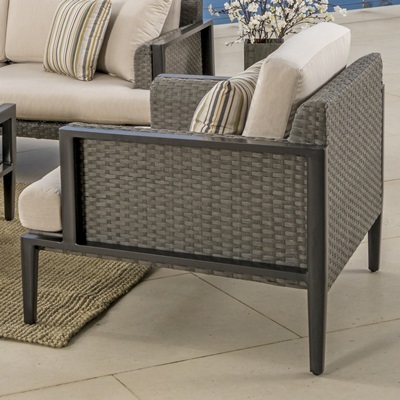 Featuring a stone veneer top, you can rest easy with a stain-free piece that resists the elements and will stay with you for years. 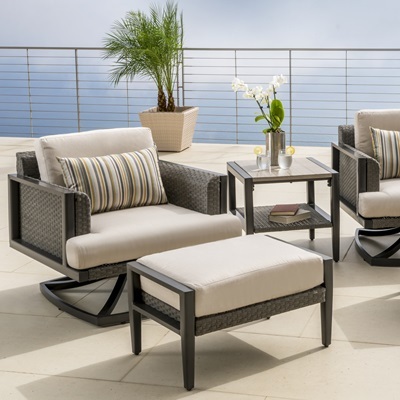 The Vistano Collection is designed with clean lines and an elegant weave to provide you with a timeless addition to your outdoor patio. 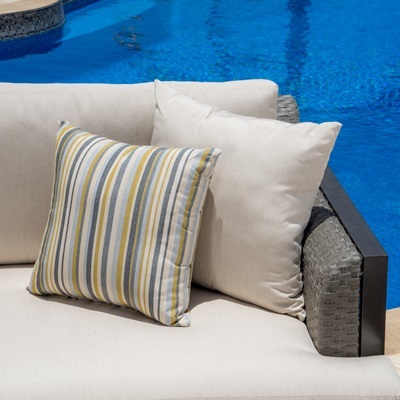 Plush 3-inch, high density, quick drying outdoor cushions are featured in a Canvas Flax Base. Table features an umbrella hole for dining umbrellas up to 2" diameter, or can be covered when not in use. Faux wood tabletop surface provides a luxurious designer look. Virtually maintenance free, simply rinse with a hose and mild cleanser.